If you are an amply endowed institution of higher education in need of a striking new building for a particular function or department, there are plenty of architects who are up to the task. But if it’s that elusive bridging of disparate fields, seeding collaboration and fostering connection you’re after? Call on Michael Maltzan. 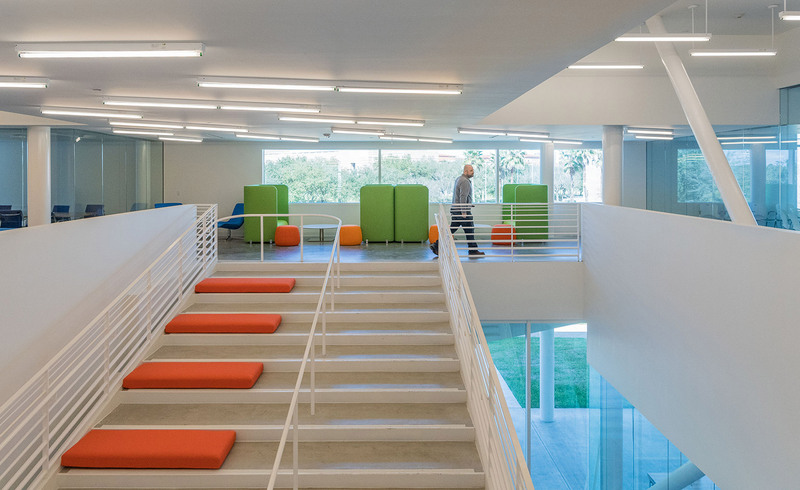 Rice University did just that a few years ago, and now its leafy campus in Houston, Texas is home to the Maltzan-designed Moody Center for the Arts: a dynamic container for creation, experimentation, and presentation. Encompassing exhibition spaces, classrooms, a 150-seat black box theatre, a maker lab (wood shop, metal shop, paint booth, rapid prototyping wizardry), and a café, the 52,465 sq ft Moody Center is remarkable in its range, but Maltzan’s design doesn’t merely corral multiple programs under one skylight-punctuated roof. 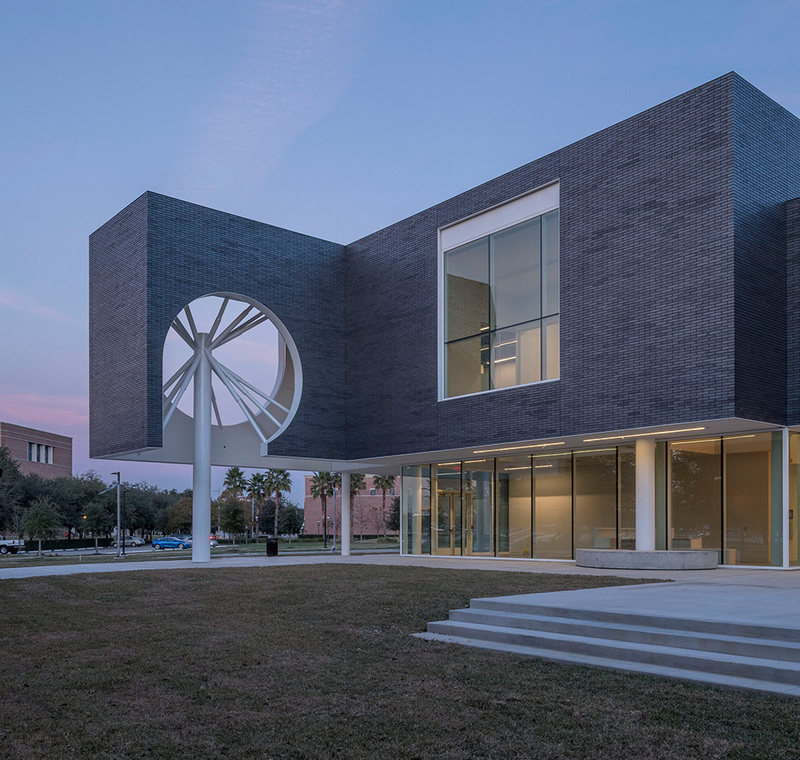 Instead, it seizes upon the elasticity of architecture to integrate adjacent and simultaneous activities, connecting them to one another, the Rice campus, and the world beyond its tree-lined quads. Invigorated rather than intimidated by complexity, Maltzan is a master collapser – of discrete territories and disciplines, of building and landscape, of architecture and urban design. The Moody reveals Maltzan’s equally formidable skills as a choreographer. To pass through the building is to encounter a myriad of spaces and scales ranging from intimate (an office, an audio-visual editing suite) to communal (a soaring double-height central studio crowned by a graphic constellation of LED lighting), all interwoven by strategically placed apertures, overlooks, and fissures that create opportunities for chance encounters and discovery. With a dusky exterior that contrasts with its luminous white insides (purists will pine for monochromatic furnishings, but students seem to be enjoying the plush, blobby neon seating that colonises most interstitial areas), the Moody is Maltzan’s first brick building – a project requirement for material continuity across campus. He chose Manganese Ironspot brick for its chameleon-like qualities. The ambitious opening programming includes a workshop developed by Olafur Eliasson and a mesmerising extraterrestrial video installation by Diana Thater, as well as a residency by visiting artist Mona Hatoum. 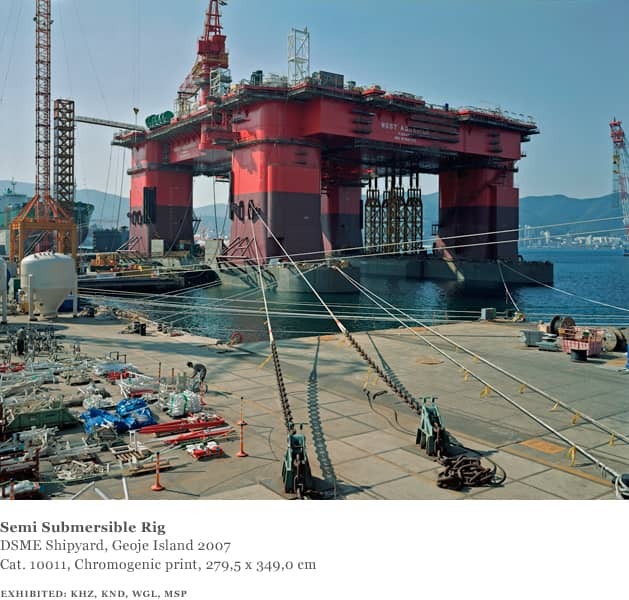 The Moody’s main gallery space debuts with an exhibition of 25 photographs by Thomas Struth, including a massive 2007 image of an oil rig at the DSME shipyard on South Korea’s Geoje Island. Restrained by a web of tethers that slice the composition into extruded triangles, the semi-submersible drilling rig comes alive.